This review was first published at the National. What motivates Westerners to become jihadists? What comes first, radicalism or religious text? Olivier Roy, a French analyst of ‘globalised Islam’, begins “Jihad and Death: The Global Appeal of Islamic State” with empirical research on about 100 people involved in Jihadist terrorism in France and Belgium. Converts account for a staggering 25% of this sample. The rest tend to be lapsed Muslims, and return to strict religious practice, if at all, only months before they commit violence. Terrorists don’t come from what the French right-wing calls ‘Salafised spaces’. Roy points out the irony of the ISIL-linked Abdeslam brothers running “a bar in a neighbourhood described as Salafised,” and usefully emphasises the distinction between Salafism and ISIL-style radicalism. The latter, unlike the former, permits punishment by fire and suicide attacks, for instance, and rejects parental and clerical authority. The true subject of science fiction is always the present. Its imagined futures are mirrors to today’s hopes and fears. George Orwell’s “1984” simply shifted the numbers of the year in which he wrote the book – 1948 – and made a metaphor of that time’s dark politics. Likewise “2084”, the latest from Algerian novelist Boualem Sansal, is addressed to, and in some way is part of, very contemporary woes. Sansal lays out a fantastically detailed dystopia in complex and often elegant prose. After the Great Holy War killed hundreds of millions, an absolutist theocracy has been founded by Abi the Delegate, servant of the god Yolah. Abi’s rule is secured by such institutions as the Apparatus and the Ministry of Moral Health, and displayed by frequent mass slaughters of heretics in stadia built for the purpose. The nine daily prayers are compulsory. Women must cloak themselves in thick ‘burniqabs’. Dissent, individuality, and progress have been abolished. The future must be a strict replica of the past. All languages are banned save the state-invented ‘Abilang’. Ati, the story’s vague hero, is sent to a sanatorium in the mountains to cure his tuberculosis. Here he hears rumours of a nearby border, a limit to Abi’s reign. The notion “that the world might be divided, divisible, and humankind might be multiple” sparks a crisis of doubt in him, and then a journey of discovery. At times “2084” suffers from science fiction’s most common pitfall: an unwieldy listing of technical or political information describing the imagined world outweighs and obscures the necessary human information. Sansal’s characters are somewhat two-dimensional, and the plot can seem almost accidental. It is best, therefore, not to read this as a conventional novel but as a mix of satire, fable, and polemic. “Arab Jazz” – already the winner of the English PEN award – is a brilliant debut, both from Karim Miské and the very capable translator Sam Gordon. The setting – “between the Lubavitch school complex, the Salafist prayer room and the evangelical church” in north east Paris, home turf of the Charlie Hebdo and kosher supermarket killers – couldn’t be more topical. And Ahmed Taroudant, the novel’s main protagonist, is in some respects a typical French Arab – religiously non-observant, confused about his identity, haunted by the past, and now set up to take the blame for murder. Immensely likeable despite his neuroses, Ahmed aims “to lose himself by devouring the whole world in a single, uninterrupted story written by others.” The metaphor fits fundamentalists perfectly, but in Ahmed’s case it’s more literal: he’s a crime fiction fanatic who tries to buffer himself from reality with a wall of books. He’s reading on his balcony when blood drips down from the corpse of his upstairs neighbour Laura, whose love he might have reciprocated had he been clear-headed enough to notice. Ahmed, of course, wants to understand what’s happening. He’s the book’s third detective; the first two are Lieutenants Rachel Kupferstein and Jean Hamelot, an atheist Ashkenazi Jew from the neighbourhood and a Breton of Communist heritage; both, like Ahmad, are well versed in crime fiction, and both are “intellectual, cinephile types”. Karim Miské, the French-Mauritanian author, is a film-maker himself; his book is crammed with genre, literary and film references. One scene is set in ‘Chaim Potok high school’, for instance; the title alludes to James Ellroy’s novel “White Jazz”; and – as if the book were already a film – there’s a playlist of songs at the back. The characters are strong and various, from the young, second-generation Muslim and Jewish north African immigrants – the girls generally better adjusted than the boys – through such predictable figures as a Turkish kebab-shop proprieter and a Portuguese concierge, to the more surprising – an Armenian anarchist, for instance, or a Hasidic Rastafarian who produces a messianically-sanctioned MDMA-variant called Godzwill. There’s an implicit commentary here on the new phenomenon of gangster-Salafism: “craving the validation of others … they were frequently tempted to reverse the feeling of stigma, to brand themselves proudly with the very religion which brought them such relentless contempt.” But the implicit critique of religion itself – of “those who clog up their depths, their inner space, with the concrete of certainty” – extends to political and social certainties too. Everyone’s been damaged by their heritage; everyone’s vulnerable to inner darkness and the explanatory narcotic of grand narrative. 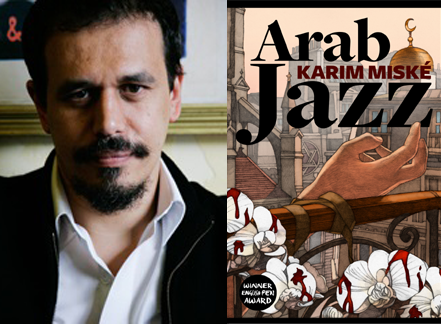 “Arab Jazz” is a genre novel in the same way that “Pulp Fiction” is a genre film – superceding the form even as it pays homage. It’s a trans-continental identity novel, dramatising the painful contradictions and fertile syntheses of contemporary multicultural life, focussing on racial discrimination in Morocco as well as Paris. And it’s certainly a well-achieved literary novel, detailed with colours, tastes and flavours, sustaining a light and energetic comic tone even when the material is unrelentingly grim. The settings are particularly rich, as Miské journeys confidently from his prime location as far as Crown Heights, Brooklyn, or to New York’s Watchtower, global HQ of the Jehovah’s Witnesses, and back and forth in time. The dialogue can be somewhat clumsy, occasionally rendering the plot machinery too visible and the characters too obviously functional. In general there’s a little too much telling rather than showing – in the improbably self-revealing monologues of the police’s interviewees, for example, or the perfectly overheard street sermonising. Perhaps, as a detective story, the novel suffers a glut of too-easily-flowing information. This may irritate some genre readers, but it should be forgiven. “Arab Jazz” should be read charitably as a pushing beyond realism rather than a failure to achieve it. There’s something theatrical in Miské’s world; it’s as if the detective-readers witness performances, or discover texts, instead of teasing out meaning from an inscrutable and intransigent reality. Miské is a writer enjoying himself, playing on his scales, improvising sometimes, his subplots and walk-on acts fed deftly into the whole. The monologues are instrumental solos; the rhythms are propulsive. Like jazz, it’s complicated, but sounds beautifully simple.